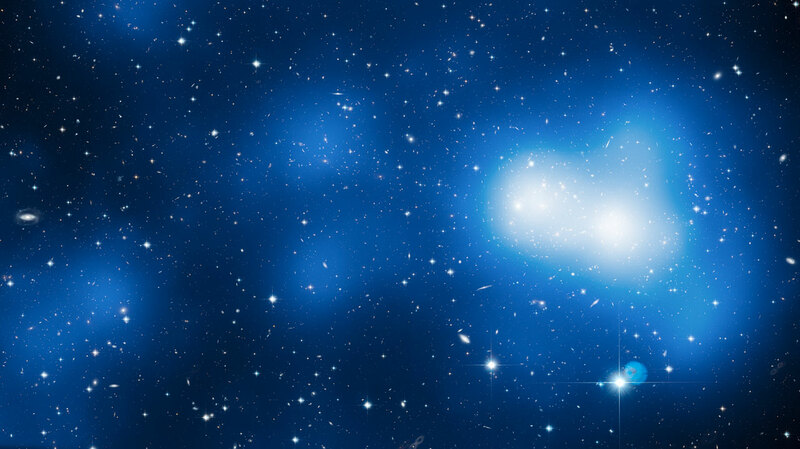 This enormous image shows Hubble's view of massive galaxy cluster MACS J0717.5+3745. 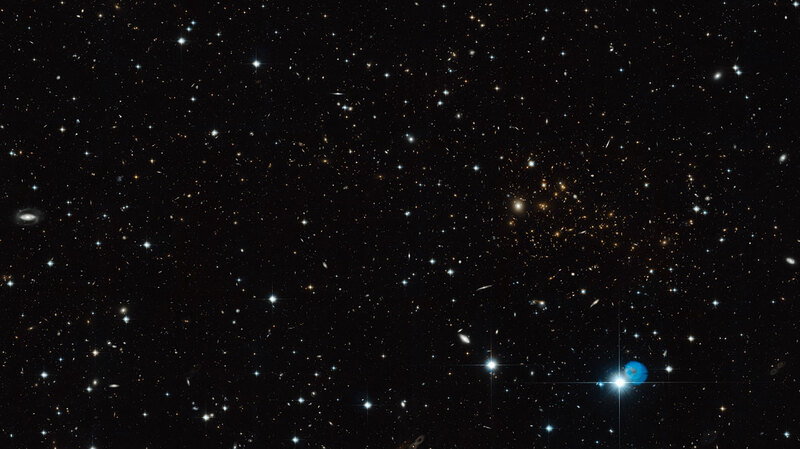 The large field of view is a combination of 18 separate Hubble images. The location of the dark matter is revealed in a map of the mass in the cluster and surrounding region, which can be shown or hidden using the slider. The filament visibly extends out and to the left of the cluster core. Using additional observations from ground-based telescopes, the team was able to map the filament's structure in three dimensions, the first time this has ever been done. The filament was discovered to extend back from the cluster core, meaning we are looking along it.